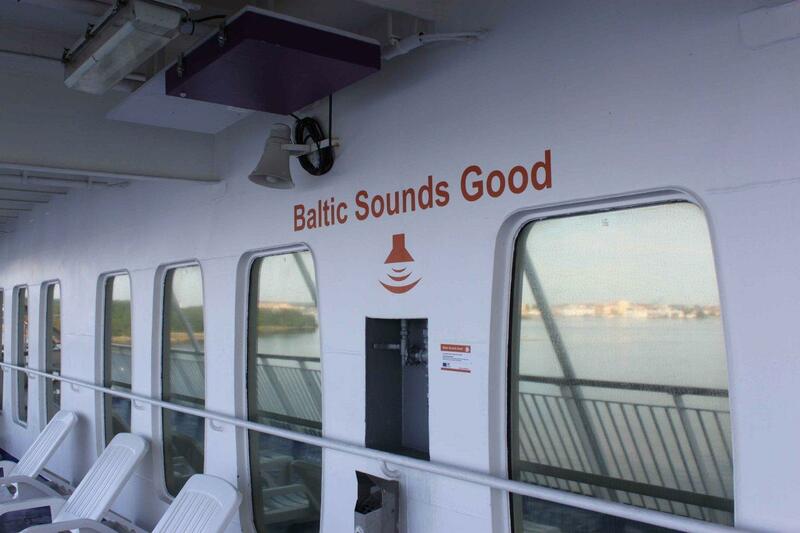 As passenger you can listen to a sound installation, Baltic Sounds Good, on the aft deck. 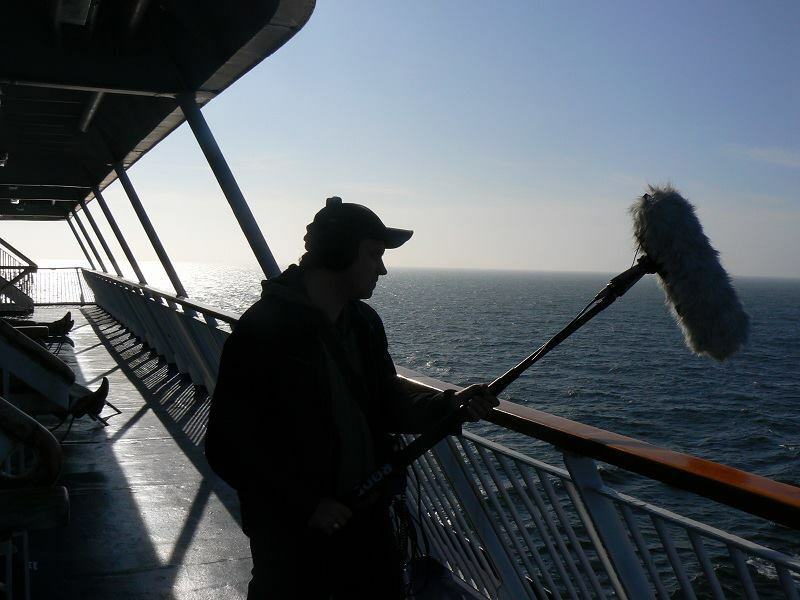 Baltic Sounds Good is a sound art-project, in which artists gathered around, on, over and under the surface of the Baltic Sea. An electro-acoustic concert was held in Galeria El in Elblag and it was live-streamed on internet. Polish sound artists, Krzysztof Topolski, and Maciej Olewniczak from the art gallery in Elblag led the workshop. The other participants were Mariusz Owczarek, Wiktor Piskorz, Rafał Wawrzyk, Danil Akimov and Sergey Ivanov. They visited the Marine Research in the Hel Peninsula in Poland, where the recorded sounds from the aquarium and seals. They visited the port of Hel and Gdynia before they boarded the ferry Stena Vision where Captain Tommy Kembring released the artists into backstage areas. Back at the art gallery in Elblag, Galeria EL, they composed the joint concert as a musical score in the form of an overview plan of the ferry. You can see a movie about the workshop on board in a conference room. The film was produced by Jakub Strumiński and Edyta Machul.